CHICAGO, Feb. 7, 2013 - - Toyota unveiled the redesigned 2014 Tundra full-size pickup truck at a press conference at the 2013 Chicago Auto Show. 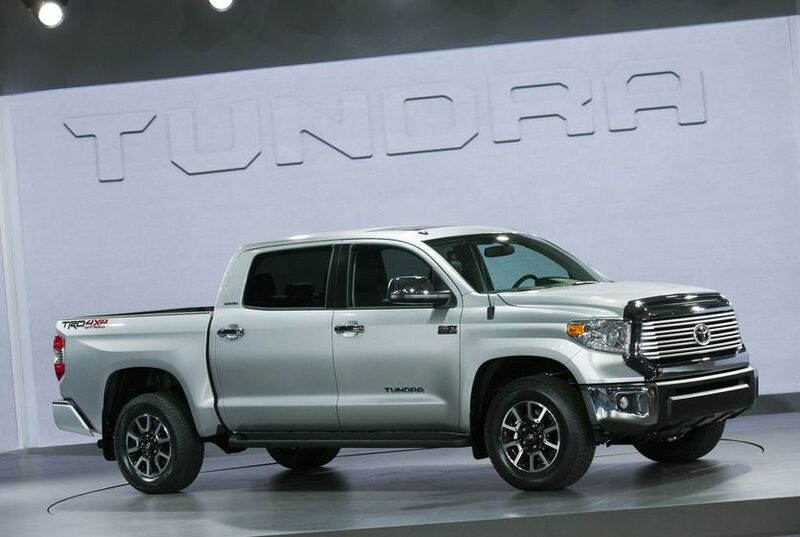 The redesigned Tundra continues to be a truck with true North American roots that was once again engineered by Toyota Technical Center in Ann Arbor, Mich., and its new look designed by Calty Design Research centers in Newport Beach, Calif. and Ann Arbor. 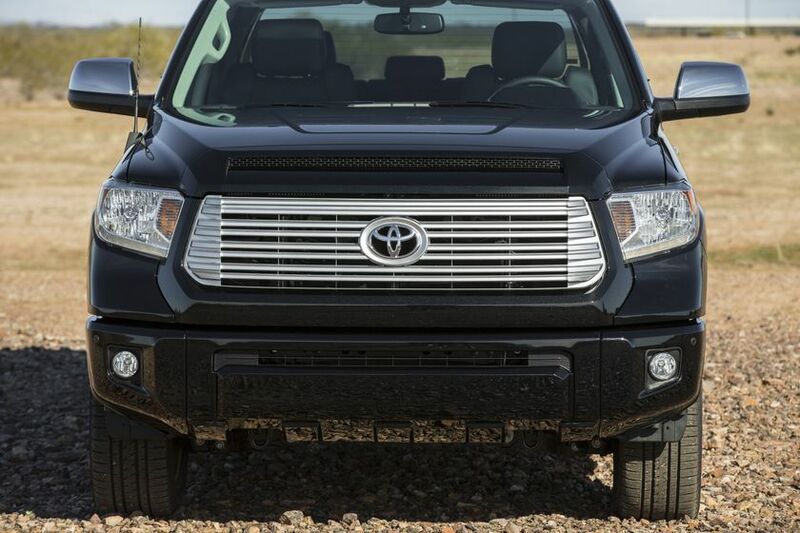 Finally, Tundra continues to be assembled exclusively at Toyota Motor Manufacturing, in San Antonio, Texas. 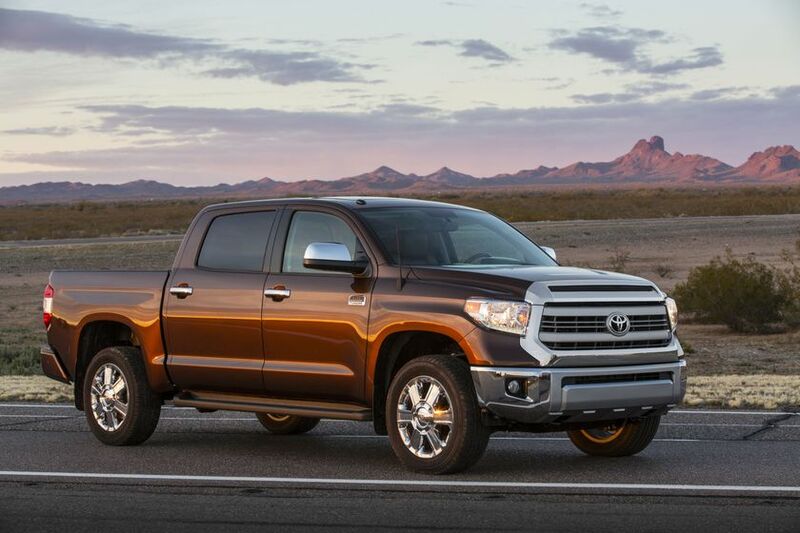 The 2014 Tundra will have a grade strategy consisting of the hard-working base model, volume-leading SR5, the well-appointed Limited, and two premium grades: “Platinum” and the all-new “1794 Edition”. The new 1794 Edition is a tribute to the ranch, founded in the year 1794, on which the Tundra plant is located in San Antonio. Tundra is offered in three cab styles. The two-door Regular Cab and four-door Double Cab are available in 4x2 and 4x4 configurations, and four-door CrewMax is a standard 4x4 configuration. 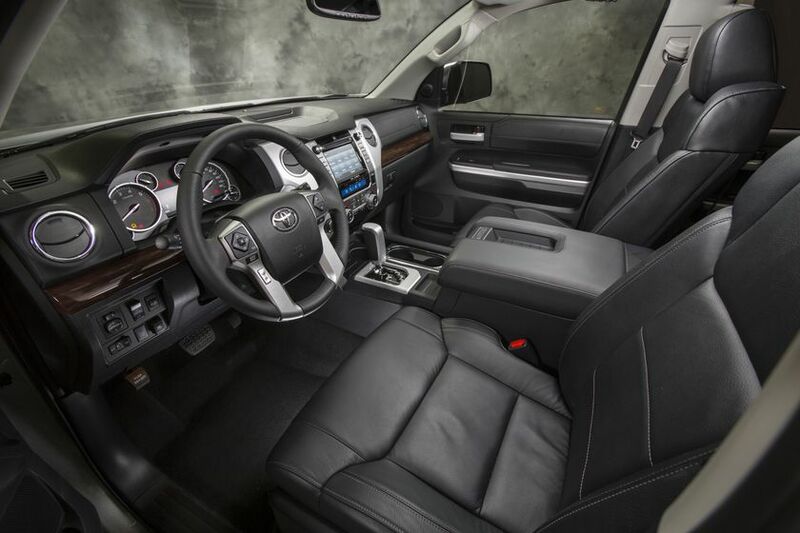 Calty’s design team worked closely with the product planners and Tundra engineers to develop an all-new bold interior focusing on styling differentiation between grades and improving the availability of features most important to truck buyers. The all-new interior variations are thematic and cater to a specific customer with a specific budget. Ergonomic improvements include easier driver access to controls as the reach to the audio and HVAC controls was reduced by 66 mm (2.6 inches). Large knobs have been retained so they can be operated with or without work gloves. Overall passenger comfort was improved with an all-new front and rear (CrewMax) seat design and improved front seat ventilation. In addition, front seats have additional travel, and CrewMax rear seats can now be folded up for additional cargo carrying capability while maintaining a comfortable seating back angle. The interior has a rugged, interlocked construction with an all-new instrument panel. The meters feature 3-D metallic rings and individual gauges grouped in a clear, easy-to-see design with a centre-mounted multi-information display screen. The console design holds multiple storage areas for personal items and electronics plus additional padded surfaces and accent stitching in premium grades. Both Double Cab and CrewMax will be available with a bench or bucket seats for the front row. The Limited grade has an “active premium” image with leather seating surfaces matching soft-touch stitched door and console surfaces, and wood-style interior trims. The Limited will be available with Black and Graphite leather-trimmed interiors and will have standard auto HVAC controls. The Platinum grade has been completely redesigned for the next generation of personal use truckers. It features perforated black leather-trimmed seats with double-stitched diamond plate leather, door and instrument panel inserts, and chrome seat and console accent badging for an upscale yet urban feel. In addition, Platinum uses premium leather never before used on a Toyota truck and comes with many standard amenities, including a 12-speaker JBL audio system with navigation, heated and ventilated front seats with driver and passenger power adjustments, navigation and Blind Spot Monitor with Rear Cross Traffic Alert. The 1794 Edition reflects a western lifestyle theme and includes exclusive premium saddle brown leather seating with embossed leather and ultra-suede accents. Matching soft-touch materials also accents the shift console, the front and rear door trim, and the instrument panel. Like the Platinum, the 1794 Edition includes an array of standard features that includes heated and ventilated front seats, JBL audio, navigation, and Blind Spot Monitor with Rear Cross Traffic Alert. 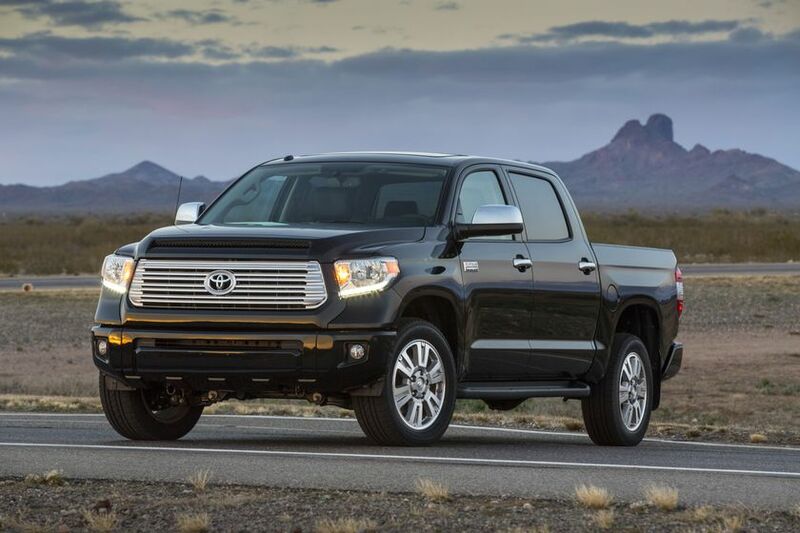 Tundra continues to offer two proven powertrains. The 4.6-litre DOHC i-Force V8 offers 310 horsepower and 327 lb.-ft. of peak torque, and the available 5.7-litre DOHC i-Force V8 produces 381 horsepower and 401 lb.-ft. of peak torque\. Both V8’s come standard with a six-speed electronically controlled automatic transmission. All Tundra engines feature an aluminum cylinder block and DOHC heads, along with Dual Variable Valve Timing with intelligence (VVT-i) for a broad torque curve and optimized efficiency. The base and SR5 grades will ride on 18-inch styled steel wheels, while the Limited, Platinum and 1794 Edition will ride on all-new 20-inch alloy wheels specific to each grade. Tundra remains the only full-size pickup in the segment to adhere to the SAE J2807 towing standard. 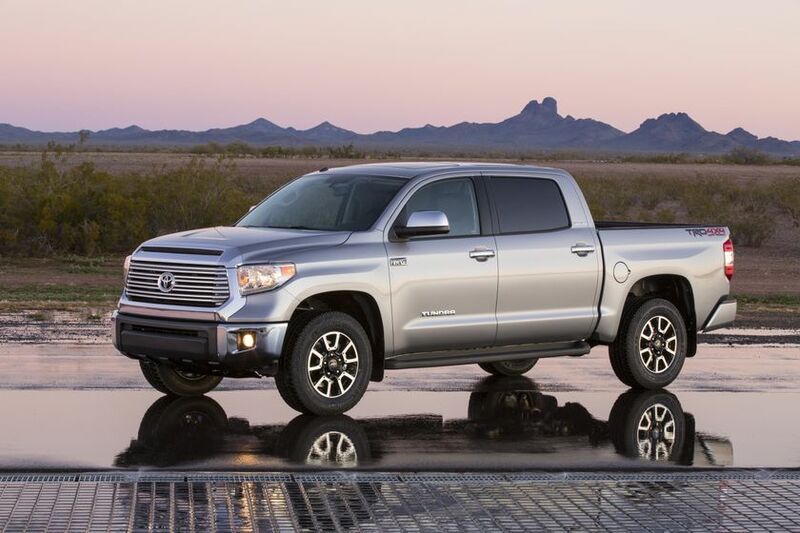 When equipped with a tow package, Tundra has a maximum tow capacity of 4,762.7 kg/10,400 pounds (4x2 Regular Cab). Tundras will feature a number of segment firsts, including a new Blind Spot Monitor with Rear Cross Traffic Alert, a standard back-up camera (viewed from a 6.1-inch audio display screen) and standard Bluetooth. The Platinum and 1794 Edition come standard with an eight-way power driver’s seat with memory and a four-way power passenger’s seat, both with heat and ventilation, power moonroof, parking sonar, Display Audio with Navigation, and JBL.